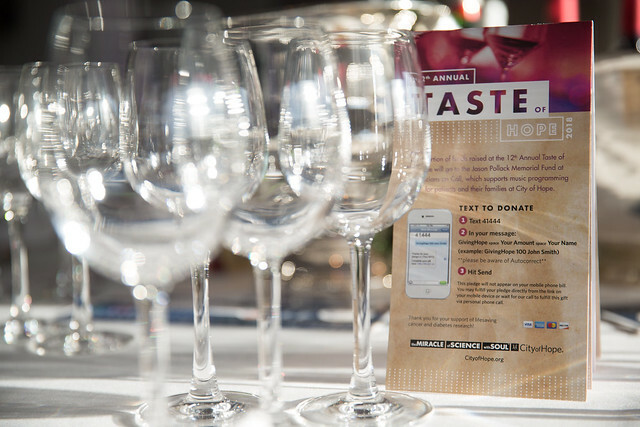 In a philanthropic effort that strikes just the right note on the wine connoisseur’s palate, members of the Music, Film & Entertainment Industry gather in New York each year for Taste of Hope. Attendees savor an exclusive dinner and support City of Hope through a live and silent auction featuring a selection of distinguished vintages from some the world’s finest private collections. In its 12 year history, the event has raised more than $3 million. The event is chaired by Alissa Pollack (EVP, Global Music Marketing, iHeartMedia). A portion of the funds raised at the 13th annual Taste of Hope will go to the Jason Pollack Memorial Fund at Musicians on Call, a program that supports music programming for patients and their families at City of Hope. For more information, please contact City of Hope at [email protected] or 626-218-6313.